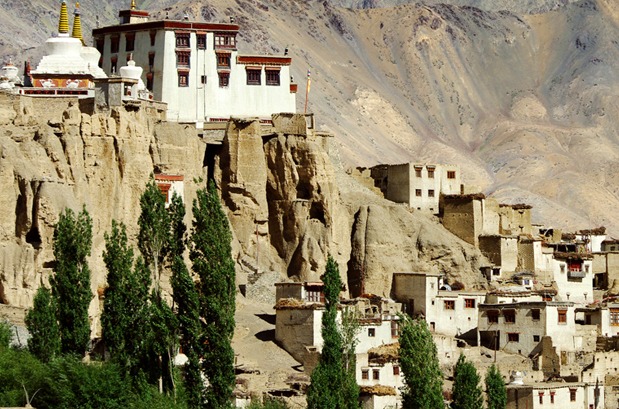 Ladakh is like a trove full of ancient Buddhist Monasteries. Called Gompa in the local language, the monasteries in Ladakh are steeped in history and have unbelievable architecture. Lamayuru being one of the ancient monasteries dating back to 11th century is the fine example how powerful once the Buddhist religion would have been in the region. For those who would like to unlock the myths and study these religious structures in Ladakh, Ladakh Monastery trek is ideal for them. Passing through lofty mountains and walking by sparkling lakes, trekkers have the chance to visit these historically rich shrines that have endured difficulties from time to time. The trek will not allow one to witness number of monasteries but also the lifestyle of the Indo-Tibetans, the Zanskari culture and the festivals, avalanches, wildlife, unexplored canyons and sparkling azure lakes. 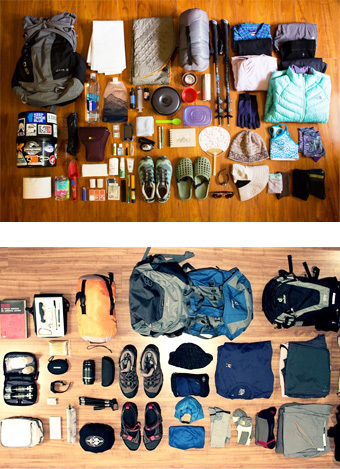 It is a trek that promises adventure, exploration and a learning experience all at one time. Summer is the best time to go for trekking as due to clear sky the mountains can be seen very clearly. Also, the weather remains bearable throughout the day, and the highways that lead to Leh are open for public. However, during the night hours, the temperature drops drastically, thus, it is advisable to carry warm clothes. .
Commencing from Leh, the trek takes one to the soul soothing monasteries of the Ladakh region. Thiksey Monastery, Lamayuru Monastery, Hemis Monastery, are amongst the prominent monasteries that are covered in this trek. By Air: Leh Kushok Bakula Rimpochee Airport has flights to Delhi at least daily on Jet Airways/Air India which also provides twice weekly services to Jammu and a weekly flight to Srinagar. Connect in Delhi for other destinations. Go Air operates Delhi to Leh daily flights during peak time. By Road: Leh is connected to the rest of India by two high-altitude roads both of which are subject to landslides and neither of which are passable in winter when covered by deep snows. The National Highway 1D from Srinagar via Kargil is generally open longer. The Leh-Manali Highway can be troublesome due to very high passes and plateaus, and the lower but landslide-prone Rohtang Pass near Manali. 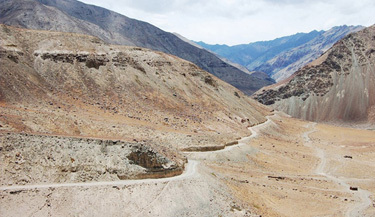 National Highway 1D : The overland approach to Ladakh from the Kashmir valley via the 434-km. Srinagar-Leh road typically remains open for traffic from June to October/November. The most dramatic part of this road journey is the ascent up the 3,505 m (11,500 ft.) high Zoji-la, a tortuous pass in the Great Himalayan Wall. 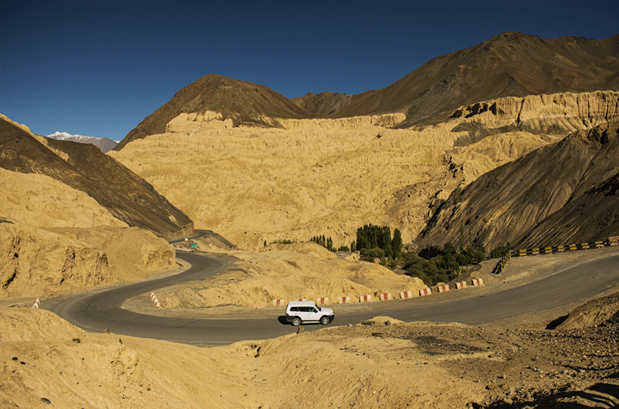 Leh - Manali Highway : Since 1989, the 473-km Manali-Leh road has been serving as the second land approach to Ladakh. Open for traffic from June to late October, this high road traverses the upland desert plateau of Rupshu whose altitude ranges from 3,660 m to 4,570 m. There are a number of high passes en route among which the highest one, known as Tanglang La, is sometimes (but incorrectly) claimed to be the world's second highest motorable pass at an altitude of 5,325 m. (17,469 feet). Take the flight for Leh in morning. Check in at the guesthouse and have the rest of an entire Day. Taking rest is extremely important in order to be acclimatized. Overnight stay at guesthouse. This Day is meant for exploring some of the astonishing and ancient monasteries in the area. 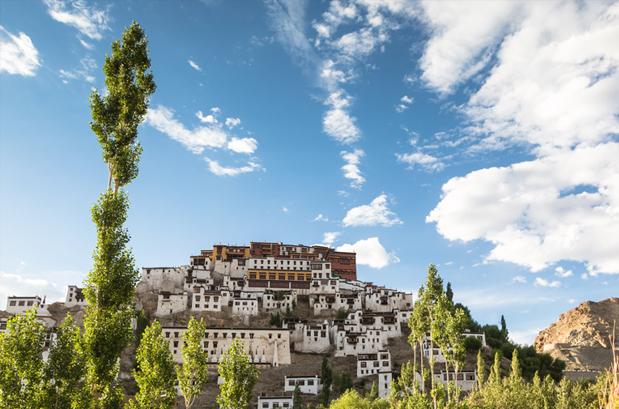 Situated at 15 kilometers from Leh, The Shey Gompa was once the summer palace of the Ladakh Kings. Adjoining to the palace, you will witness the potpourri of Gompas and Stupas. In the beginning of 17th century AD, Deldan Namgyal built Shey Palace. A 12-meter high Shakyamuni Buddha Statue is the eminent attraction of Shey. This statue is positioned in Dresthang Gompa. 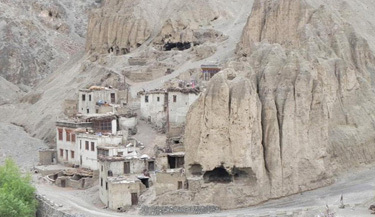 Thiksey Gompa is at a distance of around 17 kilometers from the Leh and is close to Shey as well. 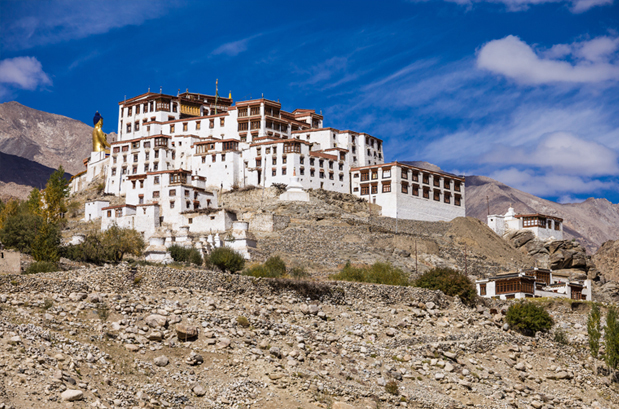 This monastery is well known among the most majestic monasteries of Ladakh. Thiksey Monastery belongs to Gelukspa Order. The illustrious Hemis Monastery is located at the distance of around 45 kilometers from Leh, which is one of the prominent and most popular monasteries in Ladakh region. This monastery belongs to Drukpa order and it was built in early 17th century. Beautiful Mani walls face the monastery clandestine in arresting valley bordered by gleaming streams. Have the overnight stay at the guesthouse. On this Day, we will travel to Alchi along the Indus River by jeep. The trail passes through scores of quaint villages including Saspol and Nimmo. The landscape is incredible with Ladakh Range on its north and Stok Range and south. Near Nimmo, there is a fascinating view of the point where Zanskar River confluences with Indus River. 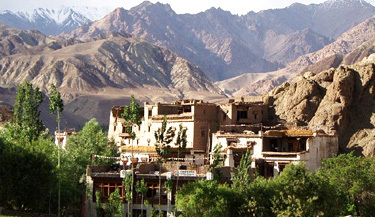 Alchi is an immaculate village including one on the most striking Gompas in Ladakh. Alchi Gompa holds the paintings that are around thousand years old. Spend a night in a simple hotel here and explore the maximum. We will head towards Lamayuru today. It is the starting point of our trek. The road starts with a steady climb that involves almost 30 switchbacks in the last 25 kilometers on the route to Lamayuru. Set the camp at Lamayuru. Visit the Lamayuru Gompa in the afternoon. This astonishing Gompa was declared a sacred site in 16th century. In the morning after breakfast pack your small backpacks, see the horses get ready and start the first day of adventure towards Wanla. A moderate track leads up to the tiny pass of Prinkti La (3750m) prior to heading down to the village of Shilla and then the last 3 km to Wanla (3250m). After reaching at Wanla camping site set the camp for the overnight stay. After lunch visit the Wanla Gompa and village. Dinner and overnight stay in tent. The trek of today will stroll through pristine villages of Ladakh before reaching the meadow camp outside the Hinju Village. The steep ascent brings the trail to Kongskil La Ridge. From the ridge, you will be endowed with breathtaking vistas of Karakoram and Stok ranges. The other side of the pass is hard to navigate. After crossing few rivers and Sumdo Chenmo Village, the track steadily ascends to Dung Dung Chan La Base. Get mesmerized by edelweiss and other rare Ladakhi flowers on the route. It is a straight ascent from the Dung Dung Chan La pass. The route then dips down gradually to Chilling Village. We will drive to Leh in the morning along the River Zanskar. The trail eventually reaches the confluence of Indus and Zanskar rivers. From this confluence, the road is maintained and makes drive back to Leh easy and comfortable. Check in the hotel after reaching Leh. Dinner and overnight stay in hotel. Reach the airport in morning and catch the flight for Delhi. Reach Delhi and enjoy the half-Day guided sightseeing tour of the city. In the evening, transfer to the International Airport and take the flight for onwards journey. When to book Ladakh Monastery Trek? You should book Ladakh Monastery Trek two months in advance so that you get ample amount of time to prepare well for the trek. Our pick up point for Ladakh Monastery Trek is Leh airport. What is minimum age required for Ladakh Monastery Trek? Ladakh Monastery Trek is Moderate trek with a maximum altitude of 4950 mts/16236 ft and the minimum age required is 15 years. What will be the minimum temperature during Ladakh Monastery Trek? In the month of July, August and September the temperature during the trek can go as low as 8 Degree Celsius during the night and the day time is sunny with 15-25 degree. 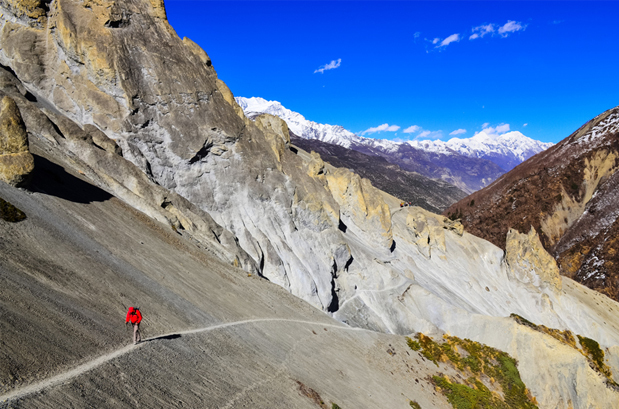 How long we trek during Ladakh Monastery Trek? We plan our treks in such a way that after 6-7 hours of trekking we reach next camp around lunch time and normally trek a distance of 10 to 15 Kms. How monsoon affects the Ladakh Monastery Trek? Ladakh Monastery Trek is only happens during the month of July, August and September which are the full monsoon months but monsoon doesn't affect this trek as there are no rain After Manali. If road gets closed due to landslide BRO normally opens it up as soon as rain stops.